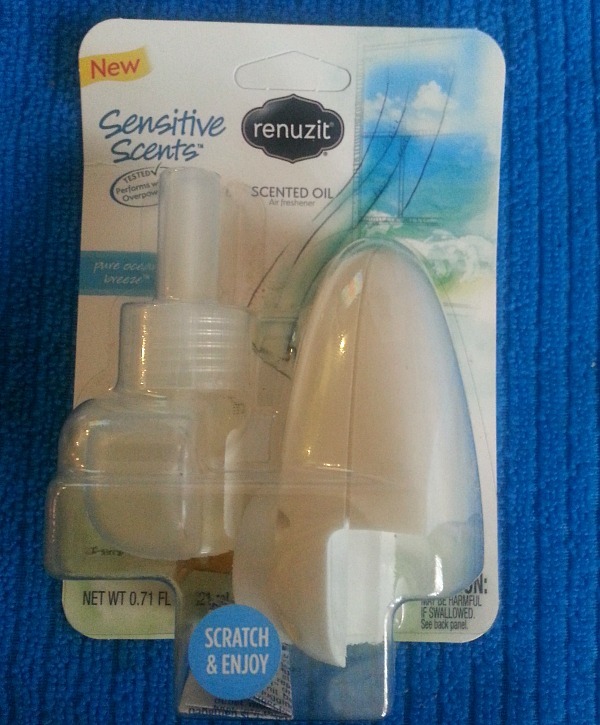 Renuzit has a new line called Sensitive Scents. This is great for someone like me. I have a sensitive nose when it comes to fragrances. I don't like when fragrance of any kind is too strong or overpowering. This line is pleasant. Pure white pear and lavender is light and wonderful to spray in the kitchen near the garbage. 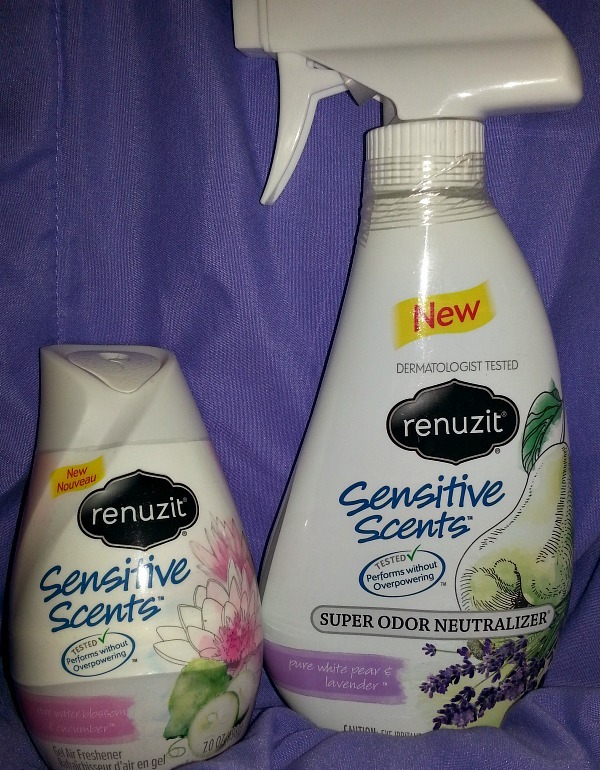 The super odor neutralizer works well with out it being too strong. The gel air freshener is good to put in the bathroom or maybe near a cat litter if you have a kitty. The Pure Ocean Breeze is a very nice scent. I like this plug in because it isn't too strong of a smell. It makes me think of vacationing on a tropical island. Yeah, in my dreams. They also make a pure water blossom and cucumber which was in the gel air refresher we tried. All three scents were quite nice. I'm so glad this line exists. Some of the products out there are way too strong for my nose. Do you have a sensitive nose? Do you like fragrance? One of my readers will win 3 free product coupons. You can try these products for yourself. Giveaway is open to US, 18+ only. Fill out rafflecopter form below. i love the scents they chose for this! fresh and clean smelling!